Say “Penang heritage” and most of us will think of George Town’s shophouses and Chinese mansions (such as the well known Blue Mansion). But there is more: up to the 1950’s, a number of imposing colonial houses, “castle-mansions” and bungalows have sprouted around the old town. Some of these buildings housed the top ranks of the colonial staff or offices, others were built for banks or local tycoons who had accumulated wealth as a result of George Town’s vibrant trading activities. Some of these houses look pretty extravagant… the aim was to show power and status. 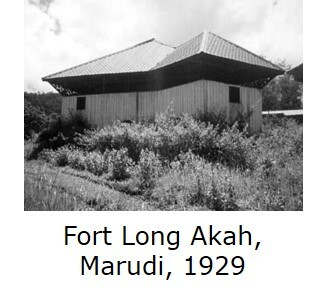 In his recent talk to Sarawak Heritage Society and PAM (Malaysian Institute of Architects, Sarawak chapter) members, architect and historian Jon Lim gave a passionate account on the architectural qualities of these buildings, on the evolving architectural patterns and on the imprints of successive British prominent architects. 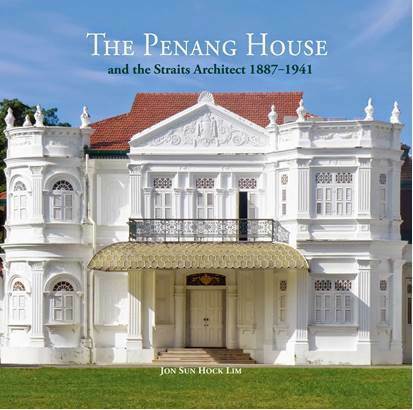 The talk was based on Dr. Lim’s recently published book, The Penang House and the Straits Architect, 1887-1943 [*]. Dr. Lim elaborated on the diverse skills showed by these colonial architects in adapting traditional western architecture (or the architecture they had delivered in colonial India) to the local hot and humid environment. Most of these houses are not formally listed as heritage sites and the existing guidelines on heritage management do not protect them. For over a year now, Soonstead mansion has been in the news: its owner has a project to build a 13-storey block right on the property, which would create a major negative visual impact on the setting of the mansion and on the whole Jalan Sultan Ahmad Shah. The project caused outrage among Penang’s heritage conservation advocates. With reason: this mansion is one of the few colonial homes on Penang’s ‘Millionaire’s Row’ still standing within its original grounds. In late 2014, after a “Save Soonstead” petition [**] launched by the Penang Heritage Trust (PHT, an NGO) garnered over 3000 signatures, the building seemed to have been saved from demolition : the project promoters “decided to withdraw their current planning application and amend their design so as not to destroy or demolish any part of this heritage building” (PHT, 5 Sept 2014). In early June 2015, the media reported that the building has been included in the draft update of Penang’s heritage building inventory, for which GTWHI (Penang State arm George Town World Heritage Incorporated) has mobilized consultants. The inventory involves over 2500 buildings. On 17 June, a Penang City Council executive confirmed that discussions on the project are still underway, content of which has not been fully revealed to the public. It is understood that the mansion could become the lobby of the 13 story hotel block with 3 floors of parking lot to be built just behind it, between the mansion and the seafront. This would mean that even if the mansion itself and its annex were to be preserved, their setting would definitely be lost. Good heritage management practice -which calls, as much as possible, to preserve the ‘breathing space’ around heritage sites- would still be jeopardised. [*] Jon Lim’s richly documented and beautifully illustrated book “The Penang House” (2015) can be purchased from at ARECA books (Penang), which has a webstore. “Soonstead Mansion will be fully preserved, says exco member” The Malaysian Insider, 17 Jun 2015; “Penang Gerakan demands to see development plans for Soonstead” The Malaysian Insider, 16 Jun 2015; “Soonstead mansion included in heritage building inventory list” The Malaysian Insider, 5 Jun 2015; “Protect heritage of Soonstead, Jalan Sultan Ahmad Shah, council told” The Malaysian Insider, 30 Apr 2015.